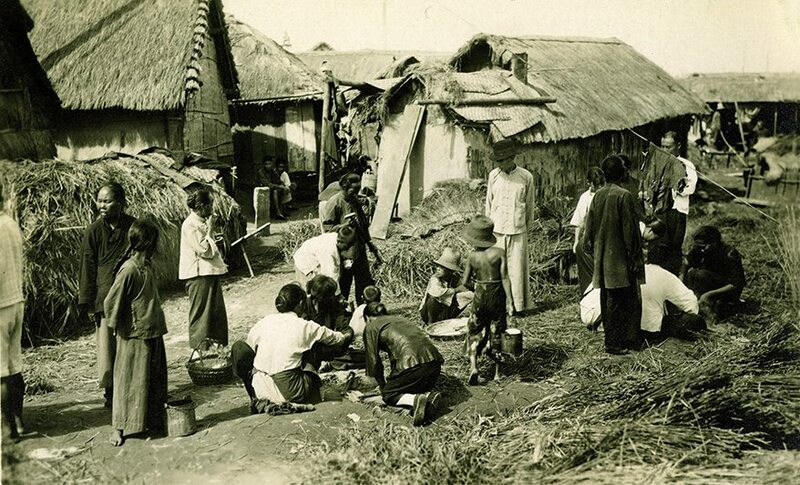 Thatching Around the World… Around 1900. This seems a good point, to take a detour, and move away from these shores. To take a look at the craft, as it was practiced in other lands. Mixing some history and geography together; as this tour will show the world of over a century ago. 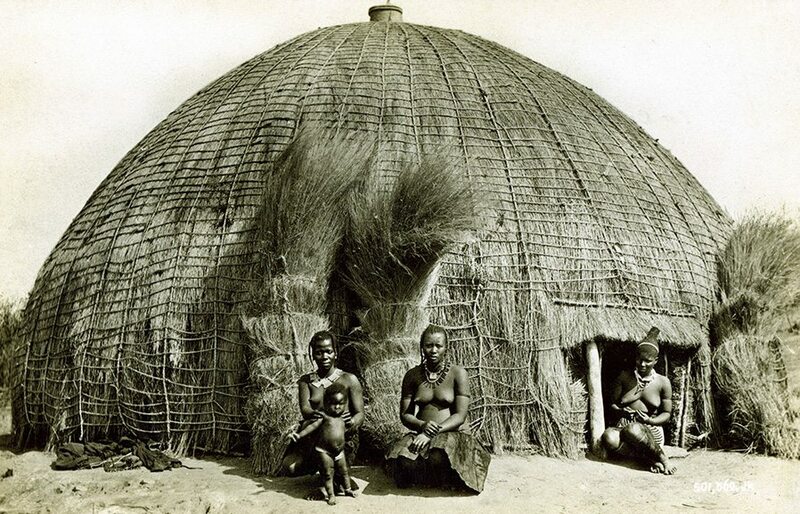 When most of mankind lived under thatch. This was also the great age of the postcard, from which most of the following images are taken. Allowing us to see the craft, before the industrial, twentieth century changed things forever, over most of the planet. This tour is also relevant, to the following section of this site. As the reader will be able to note the similarities, between the various British thatching traditions; and that of our immediate neighbours. Some conjectural reasons, why these exist, follow in the next page. o, leaving the islands of Britain, heading west, to our near neighbour… The Island of Ireland. As would be expected, there is much in common in the craft, on the islands of Ireland and Britain. 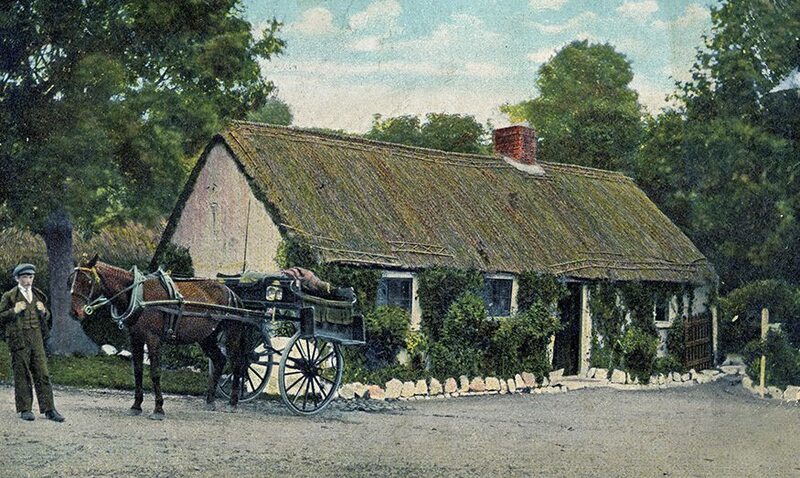 Most work here follows a similar pattern, to the area of Britain, covered by the Southern Tradition of thatching. Details of which follow in the next page. 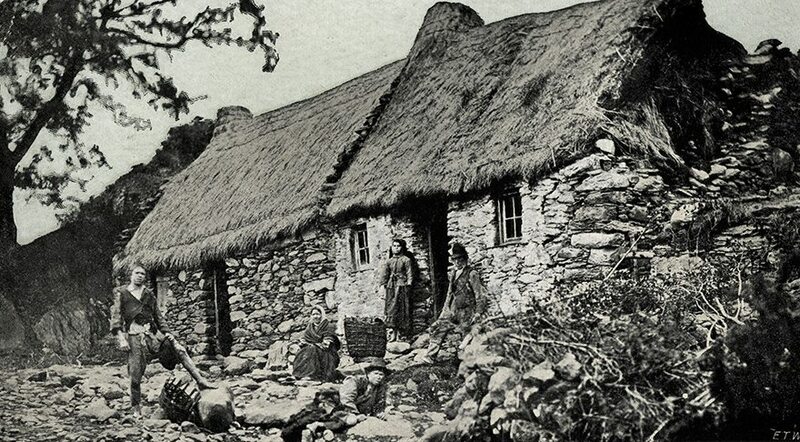 The exception to these Southern methods is the directional thatching, used down the western coastal fringes of Ireland; similar work to that found in the Highlands and Islands of Scotland etc. Away from the western coasts, a broad area runs from north to south. In which standard long straw thatching is common. Often using turf as an underlay. Down through most of the eastern Ireland, the stobbing method holds sway. 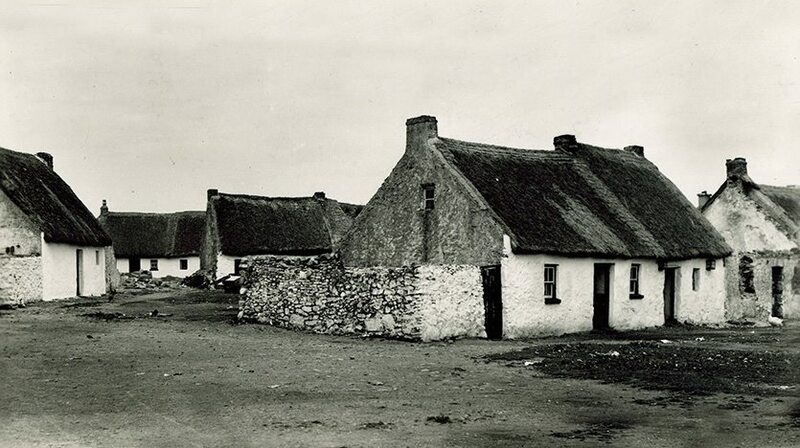 County Donegal… Around 1880. Away from the coast, where roped directional work is normal; the thatch soon returns to standard long straw work. As this image shows. Thatch and roped lums were obviously also in use. As they were in Wales and Scotland, at this time. 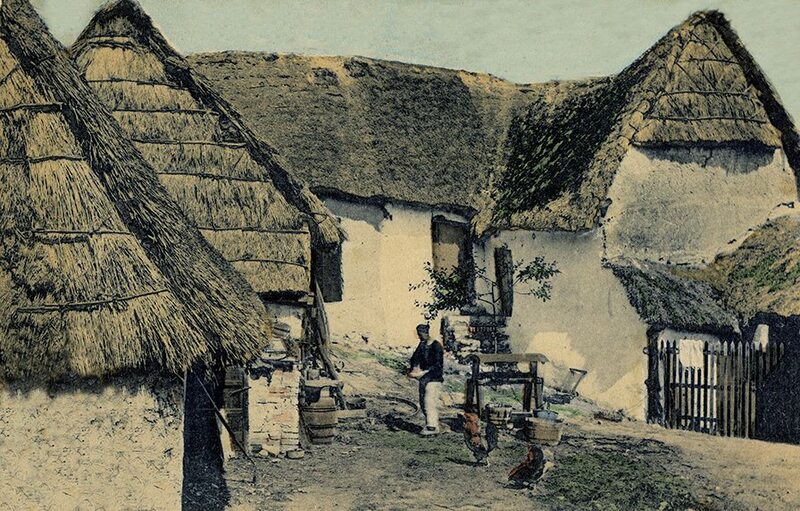 The Claddagh… County Galway. This thatch, is near the west coast, but again follows the standard method of thatching. The Scalp… County Wicklow. Over on the other side of the island. Here a rope top ridge is evident. These are found widely in Ireland. And were once, in neighbouring Wales. Their details being identical. A point that is discussed in the following section, as are the other similarities, with British thatch, found in neighbouring lands. ow, on to The Americas. Over the remaining Atlantic… This barn is still to be found, at La Malbaie, in Quebec. Situated on the St Lawrence River. 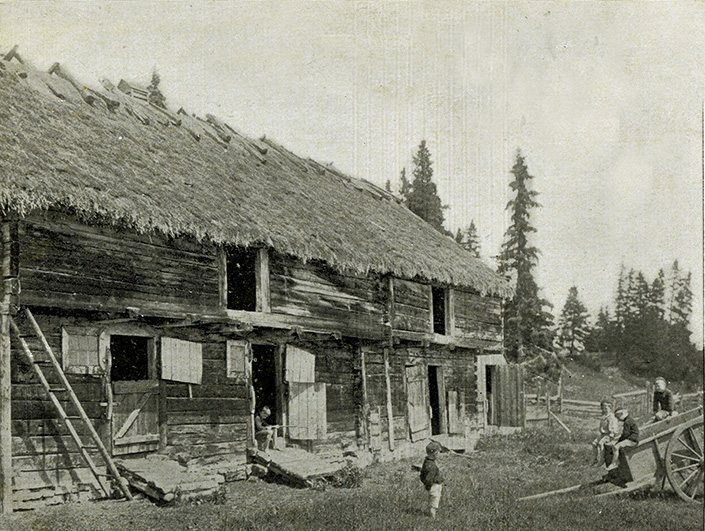 Although in French speaking Canada, the barn was probably built by a German settler, in 1812. The wooden, ridge cross poles, would support this theory. As these are still found, in his homeland and neighbouring Denmark. Crossing Canada, into British Columbia. 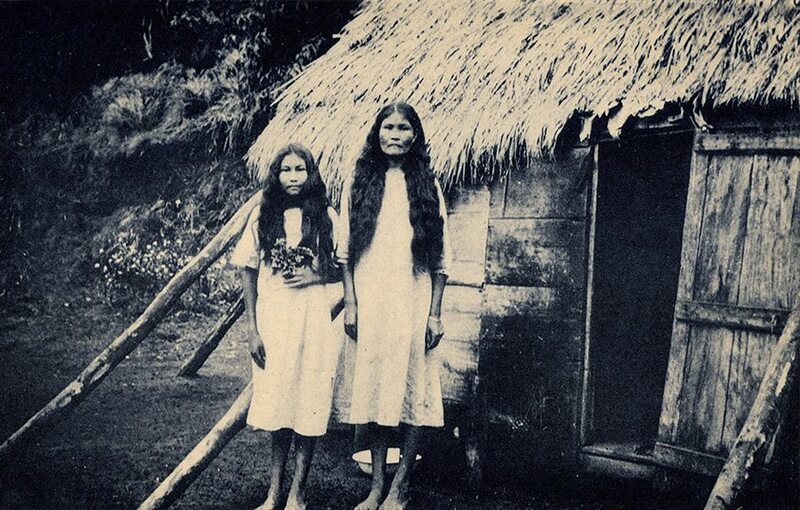 These two First Nation ladies, stand outside their thatched ‘Lodge’. The design, of these stout buildings, was purely native. Often the home to more than one family. 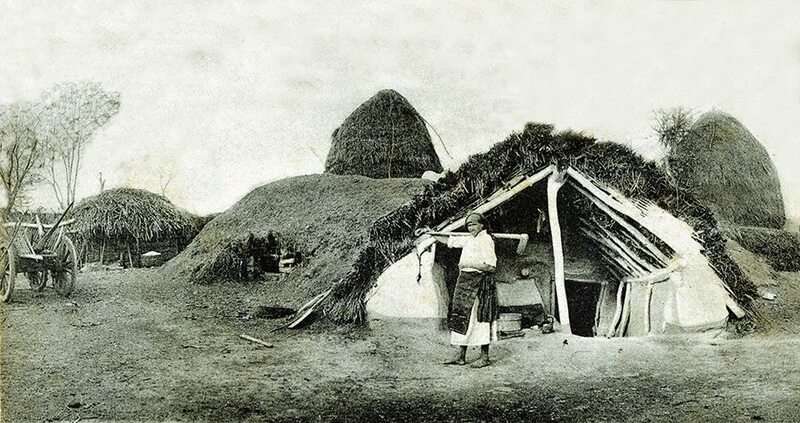 Down into the United States’ Mid West….Thatched homes like these, of the Wichita tribe; often called the ‘Grass House People’, were common enough a century ago; in the state of Oklahoma. This one was built in the 1950,s. When the folk memories, of such dwellings were still strong; being around 40 feet (12m) in diameter. Back East… Down into the Florida Everglades. These Seminole people look peaceful enough. But are the only Native Americans, never to have surrendered to, or signed a peace treaty with, the US government. Their thatched ‘Chickees’, evolved during this long struggle. Being quick and easy to build and thatch, with palmetto. They could also be dismantled swiftly, when trouble threatened. 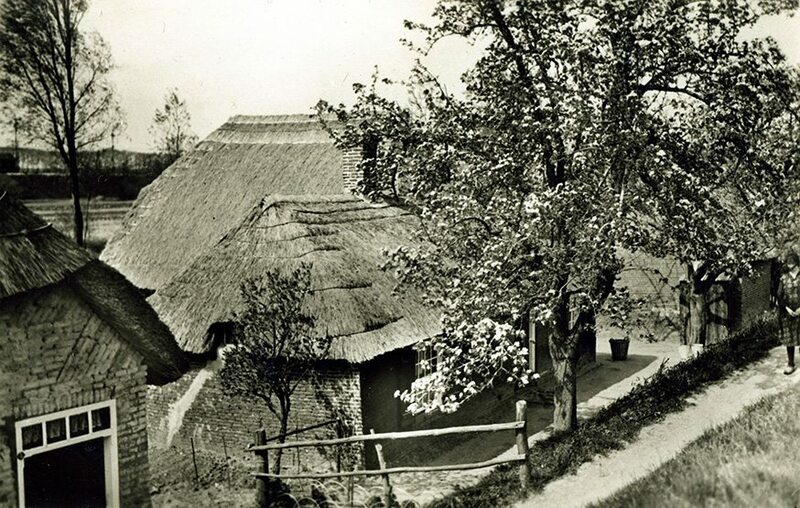 Their modern descendants, still have a strong thatching tradition. Over the border… Into the suburbs of Mexico City. A mixture of old and new buildings are found here. At Xochimilco. Famous for it’s canals. The type of layered thatching seen here, often appears in Central and South America. Perhaps having a Spanish origin. Up the Amazon… In Peru. 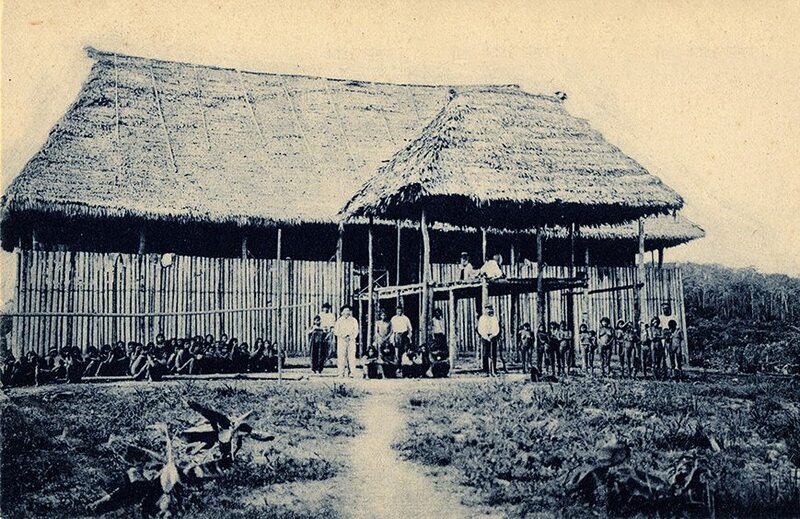 This large thatch, seems to have been used in the rubber industry, at Iquitos. The native workers, pose in front. Hereabouts, even today, the river dominates all. 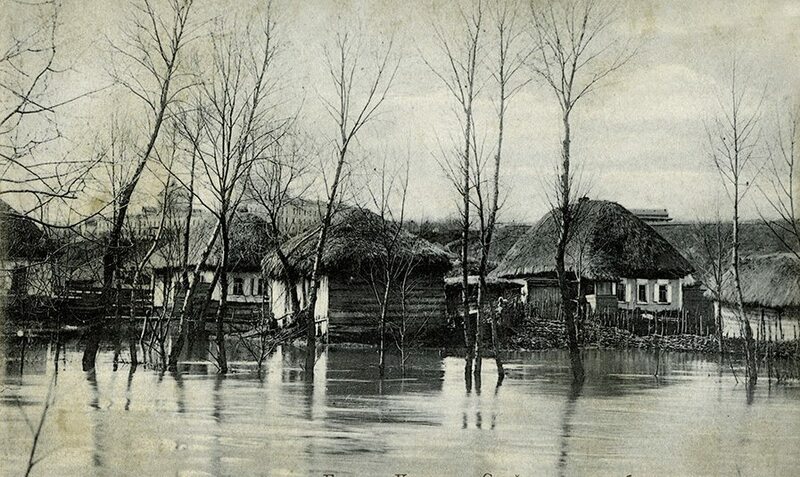 Many homes being built on a log base, that can rise and fall, with the flooding Amazon. 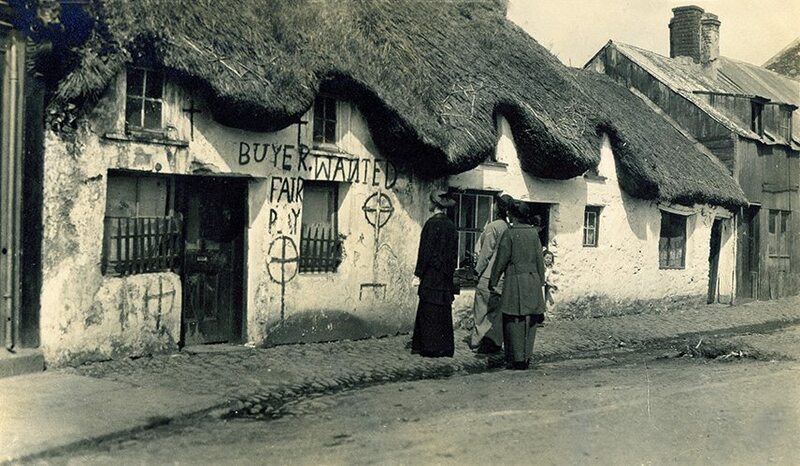 Thatch being an ideal, lightweight covering, for such dwellings. 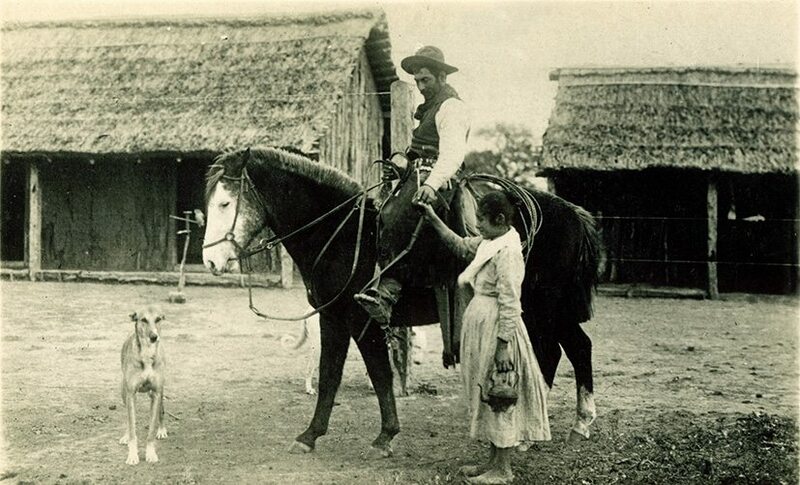 On the pampas… An Argentinean gaucho, takes tea. 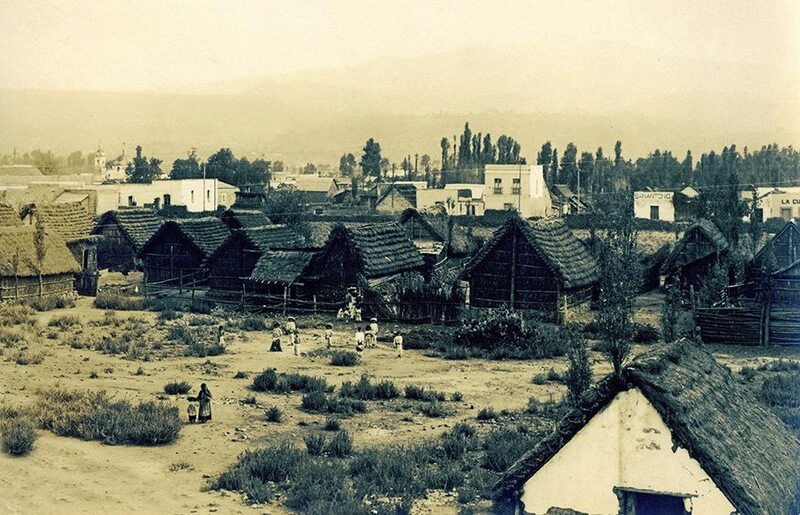 In the background , some thatched buildings; that seem to have been very common, at this time. The walls are also made of the same material, as the roof. The tea was almost certainly based on the coca leaf. Providing a mild stimulant. An island home… Half thatched, on Samoa. 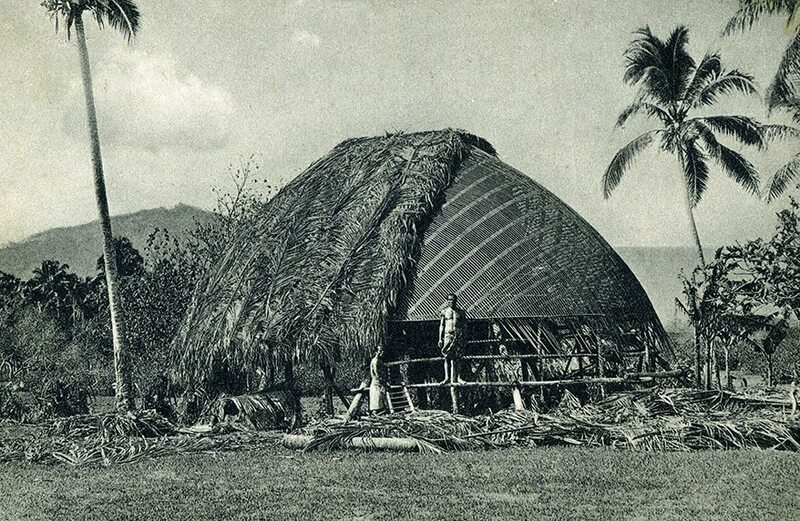 This building is typical of that found on the Pacific islands. Much use being made of local grasses. Which, as this image shows, covered a very neat roof structure. The palm trees, provided these thatchers with rope to tie on their work. And on this island, large stems were also laid on either side of the roof, to hold down the ridge. 1500 miles further west… The island of New Caledonia. These tall houses were common here. And would certainly shed the rain quickly! But this design was certainly not unique. 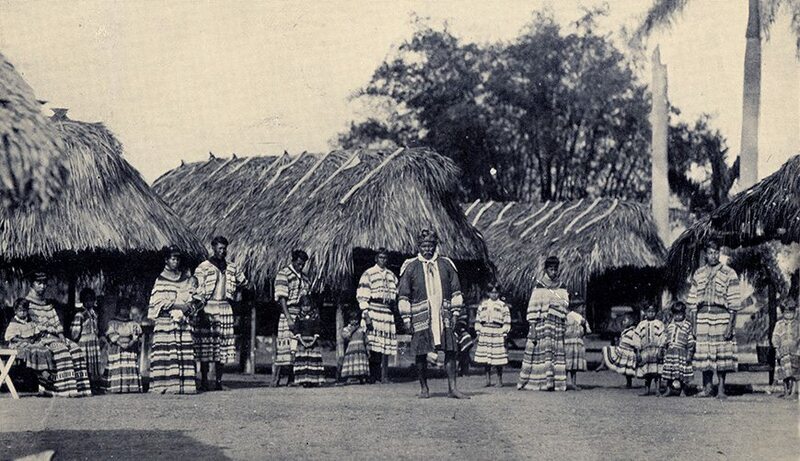 The Talamanca people, of Costa Rica; lived under similar thatch. 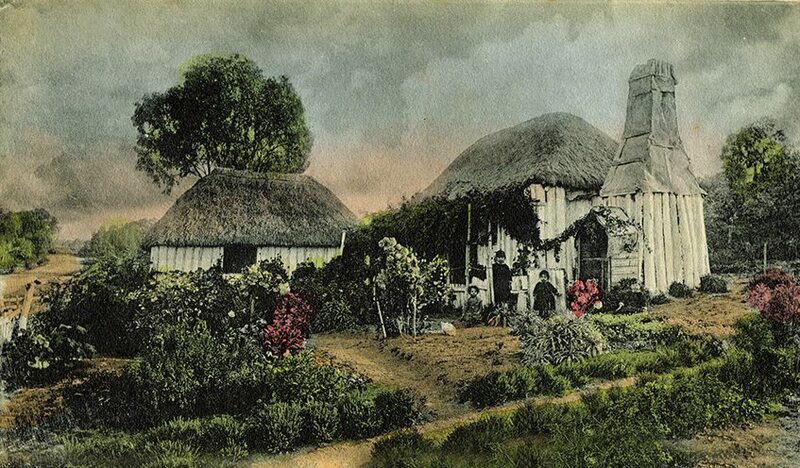 Australian thatch… This old postcard shows: ‘A Bush Homestead’. This is a rare image. 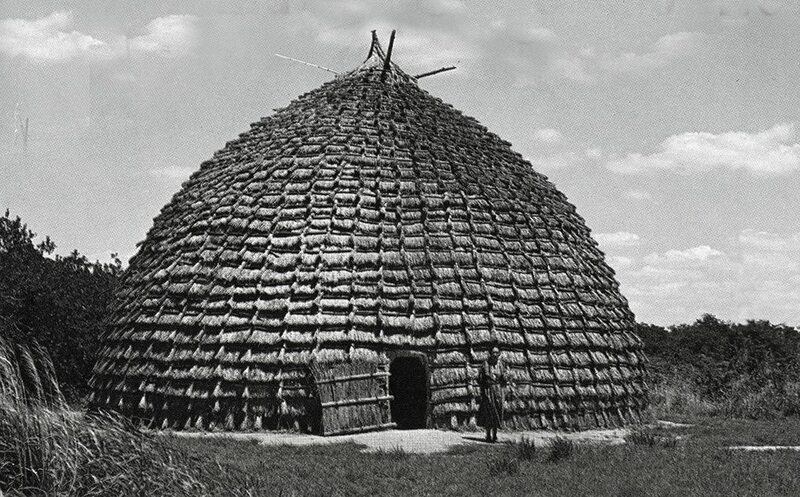 As much use was made of bark, to cover the roofs, of the early European immigrants. 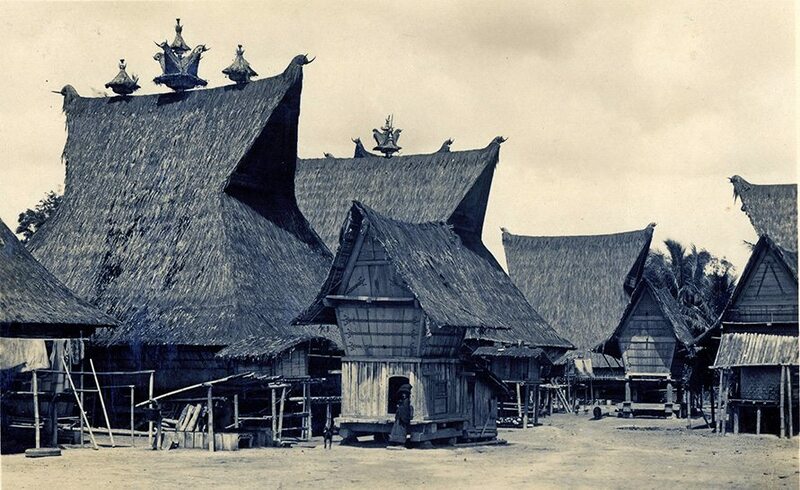 Spectacular thatch… On the island of Java. The ridge decorations, put our modern British ones to shame. Being miniature houses. Probably there to ward off some evil influence. As most of these items originally were. Village life… In China. There is a long tradition, of ornate tiled roofs here. But thatch played it’s part, for the millions of more humble homes, in this vast country. 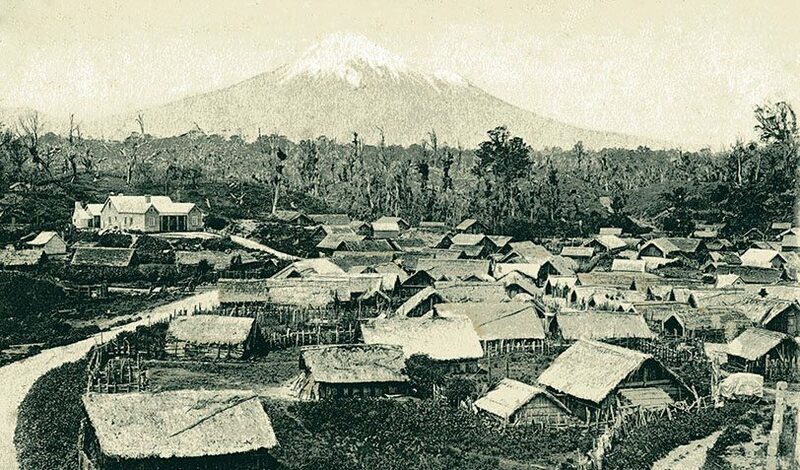 Family life… With the Anui people. Who inhabited the northern islands of Japan; and the easternmost part of Siberia. 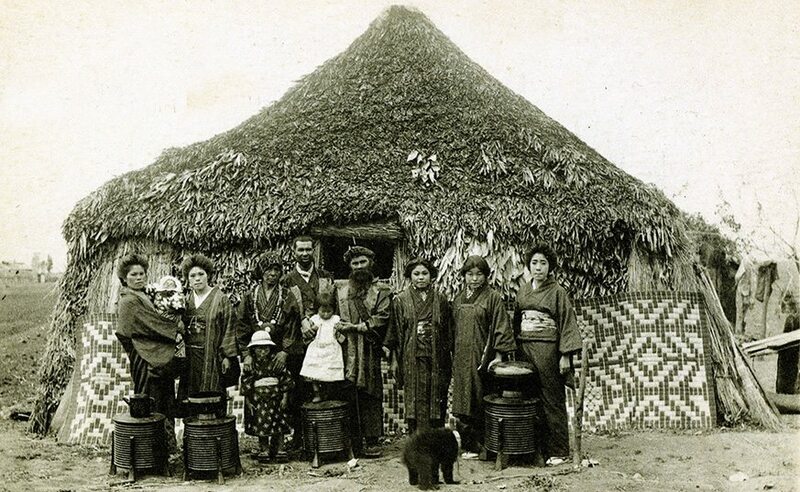 Other areas of Japan, also had a strong tradition of thatching, often to a high standard. 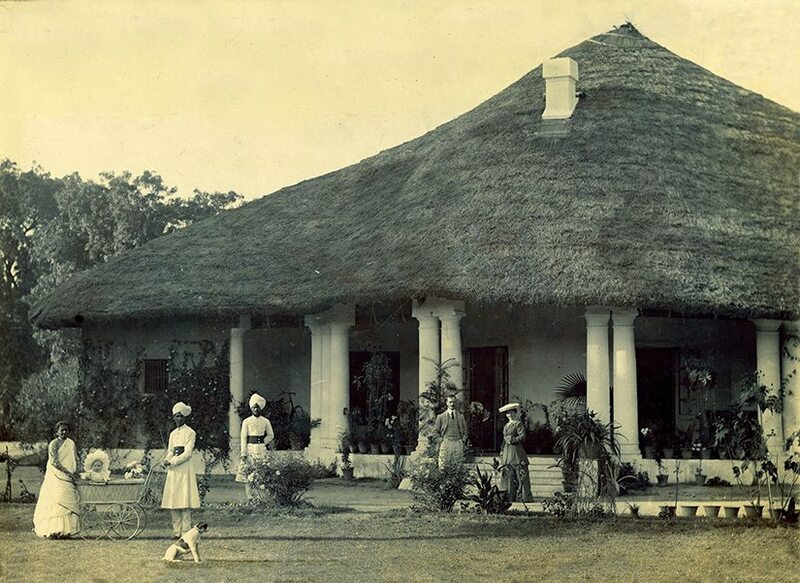 Empire thatch… This period saw the apex of British imperial power, in India. Providing a rather grand lifestyle, for this British couple and their baby. The locals have thatched this bungalow well. Ready for the worst of the Monsoons. South African roped thatch… This country still has some good examples of the thatcher’s art. 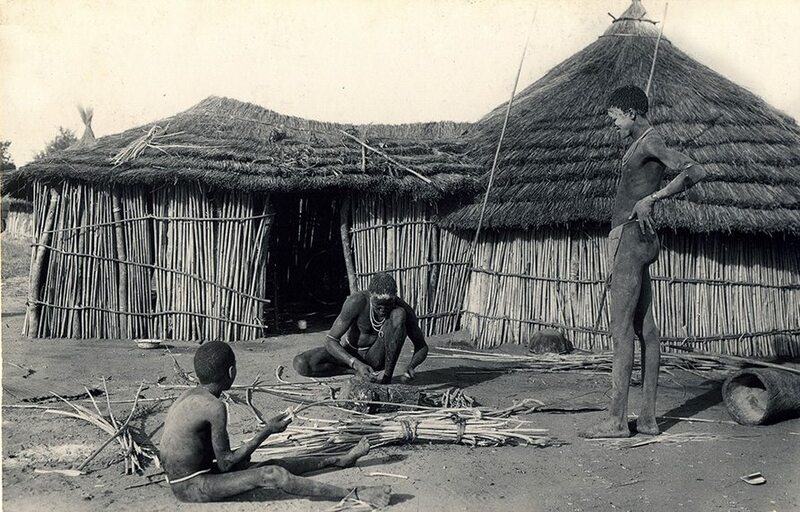 This Zulu home has thatch roped down, in a very similar fashion to that found in the Hebrides. The long grass, used to thatch this roof, is also shown. 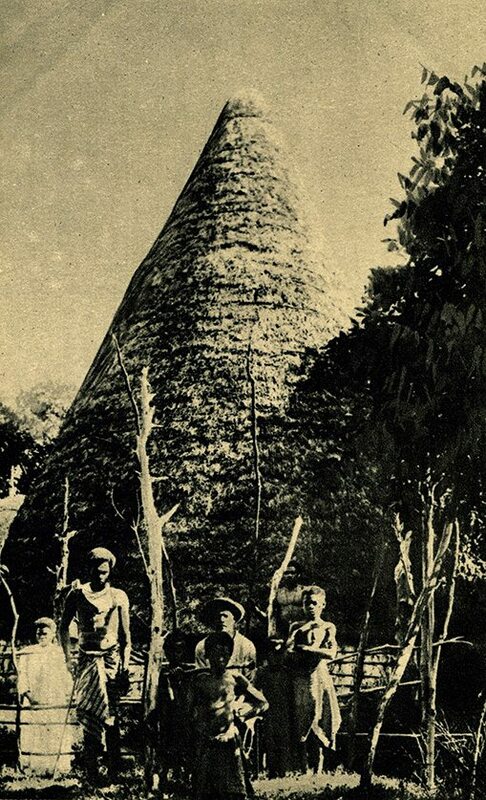 ‘Hut building on the Upper Nile’… In Sudan. This overlapped type of thatch was also found in Ethiopia and parts of Egypt. As well as in Central and South America. North African thatch… Near El Jadida, on Morocco’s Atlantic coast. Both walls and roof, are covered alike. Looking all the world, like a corn rick. Only the small wooden door , gives the game away. ‘The house where Osman Pasha and his suite, spent the night. On the road to Russia, after his capture’… This unusual house, lay half underground, at Pordim, in northern Bulgaria. Being considered suitable, to accommodate an Ottoman general and his entourage; during the Russo-Turkish war, of the 1870’s. The thatch seems to be simply piled on , employing the random method, as used in the Hebrides. The general survived his stay, eventually returning home, at the war’s end. 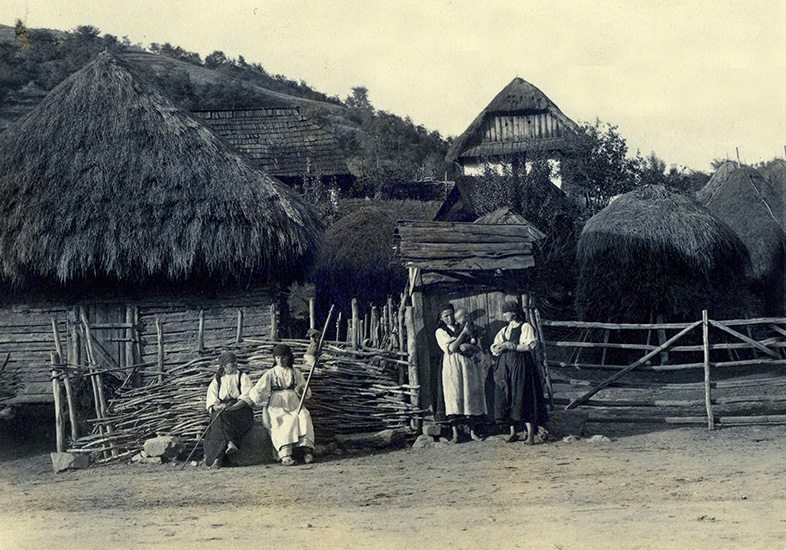 Romanian village life… At Turda, in the north east of the country. The thatch here looks well done, if a little untidy. Using the standard method of thatching. 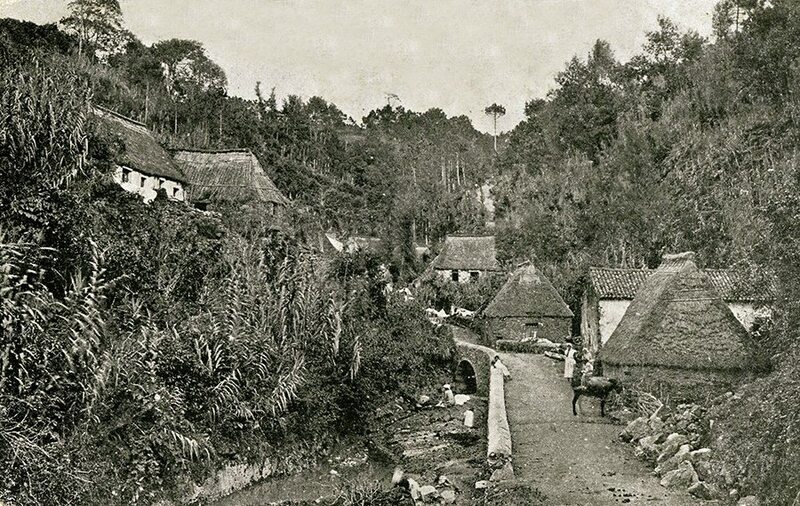 Another village… With similar thatch. Near Kursk, in south western Russia. This type of work appears over wide part of Eastern Europe. Like many settlements, this one suffered in two world wars. Kursk being the scene of bitter fighting, in 1943. 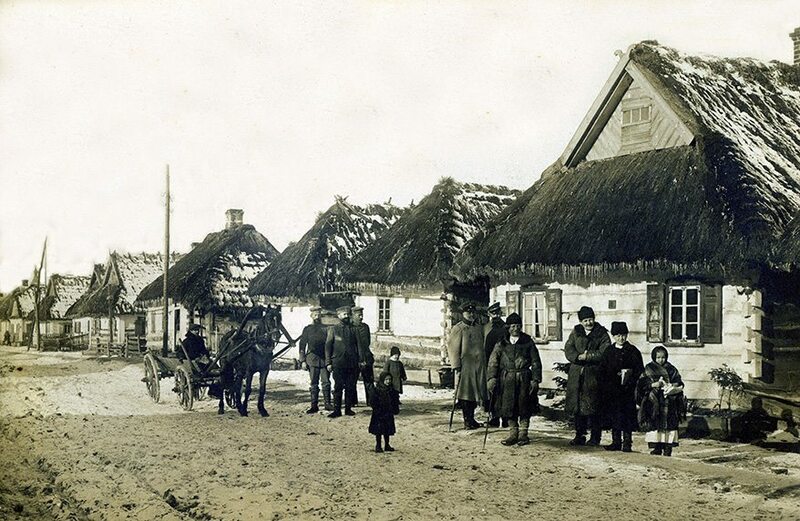 Moving around… This wintry scene, shows thatch in East Prussia, part of the German Empire. Before the upheavals of the last century, caused a shift in boundaries. This area now being well inside Poland, near Palczew. 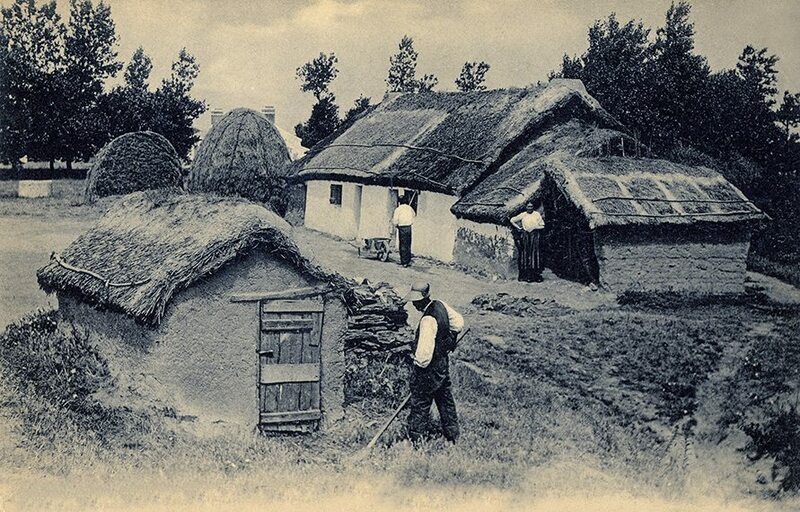 This type of thatching, with turf covered hips and ridges, was also seen on thatch in the Ukraine. And other neighbouring eastern areas. p through Western Europe… Heading home. 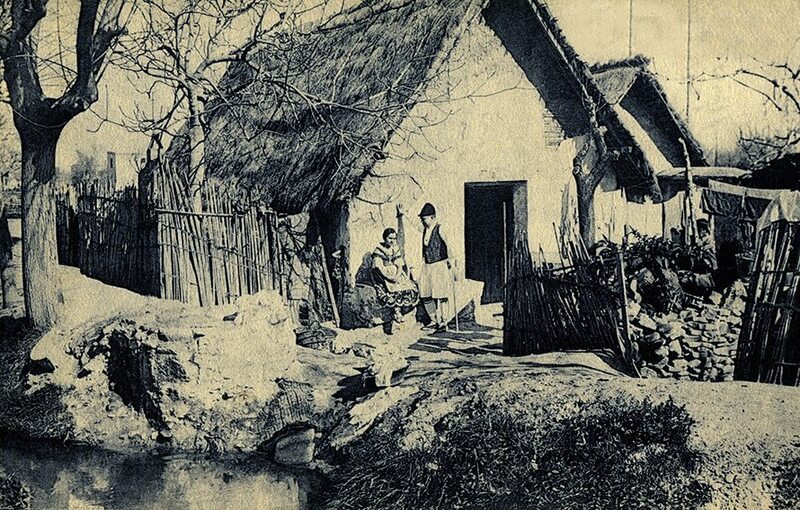 Traditional dress and thatch… In the Murcia region, of south eastern Spain. The thatch here looks thin, but there was little rain to shed. As modern day visitors, to nearby Alicante, will know. French coastal thatch… At St Jean de Monts. Situated on the Bay of Biscay, near Nantes. 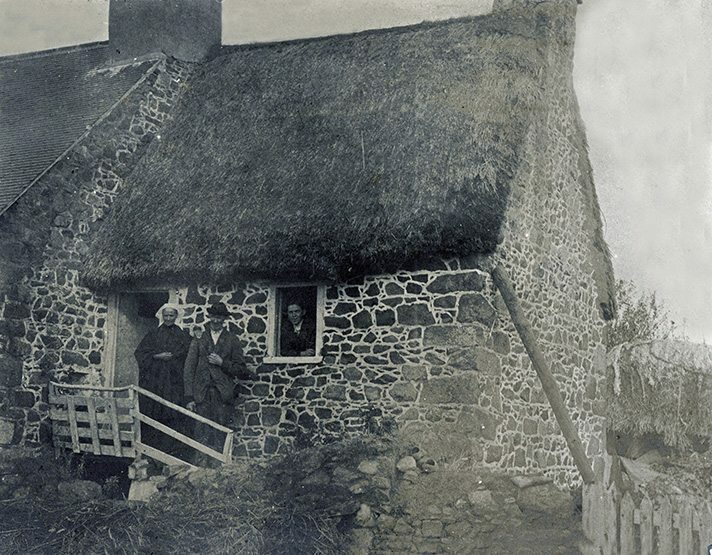 The thatch, in this image, was given extra wind protection, with some crook and caber fixings. The ridge consists of clay or mortar, similar to that found in the Channel Islands. The rick, in the background would not have looked out of place, in Wales or Scotland. ‘Brittany Sept 08’… The century old thatch here, is of combed straw. With gabled ends, identical, to those found in Glamorgan and West Cornwall, at this time. Turning, but hardly daring to protrude over the end wall. The ridge is of turf. Traditional French thatching, does not include ridges of straw. 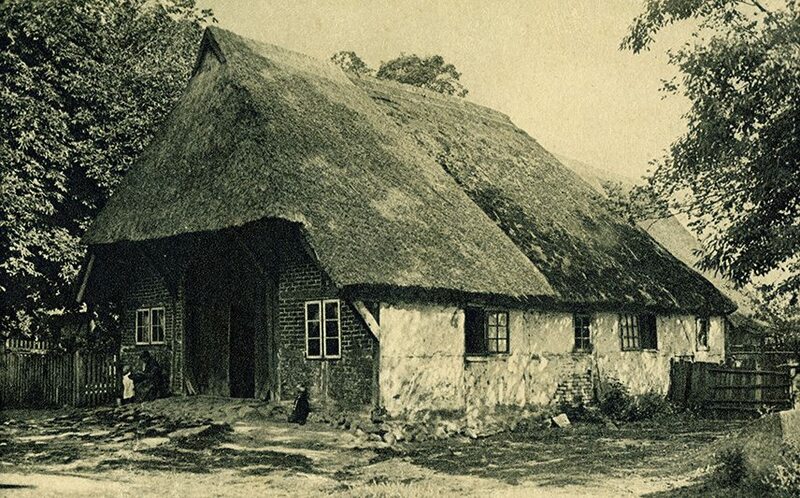 ‘La Normandie’… Thatch here is also of combed straw. But this time with rolled gables and a more angular look. Echoing work in north and eastern Britain. The gable walls, also received the attention of the thatcher. Who provided some neat spar work. A feature, found as far north as Belgium. ‘Sourvans, France 1897’… This photo was taken by an American tourist. 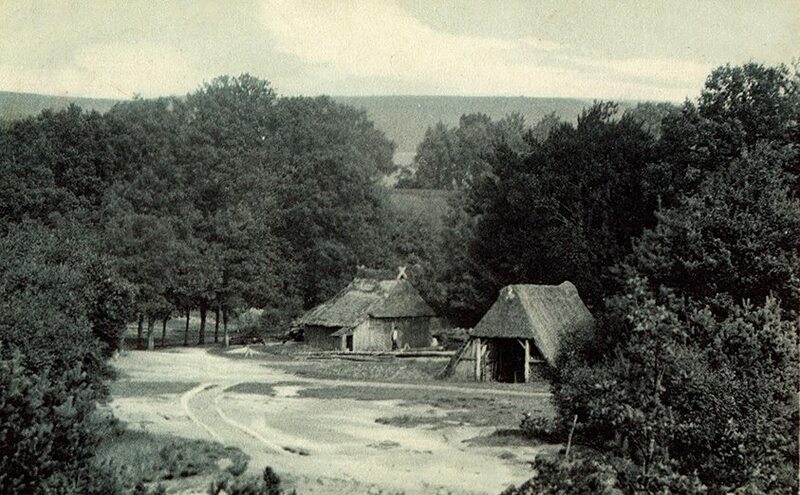 Of a thatch, situated in the east of France, near Montbeliard. The thatch roof is large and angular. And the work shown, is surely a relic of this area’s German heritage. Only passing from the Dukedom of Wurttemburg, a century before this image was taken. Swiss thatch… Not a country noted for it’s thatching. 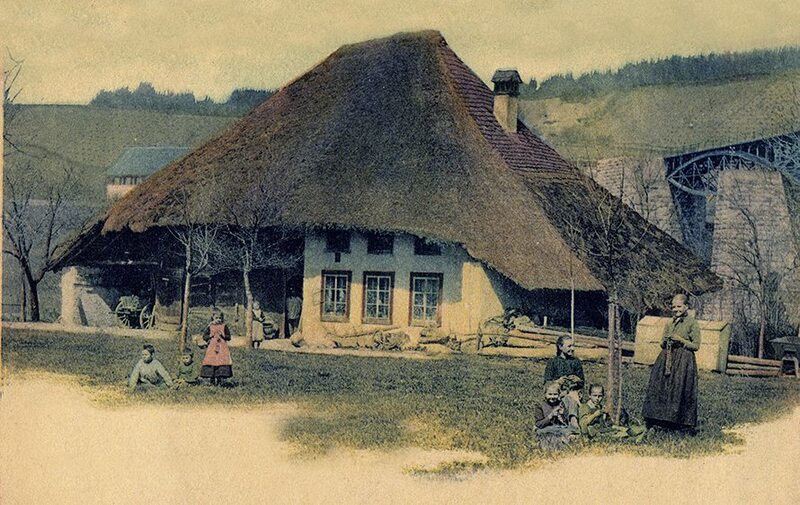 However this Bauernhaus, or ‘barnhouse’, stood in Aargau; the least mountainous canton of Switzerland. Where enough cereals were grown, to provide straw, for a roof. As with the last image, a strong German influence is seen. Which is not surprising, as this area borders Germany. North Germany… The thatching here, would be very much at home, in eastern England. The ridge ends, and roof shape, have a similar design. Germany also shares a tradition of straw ridging with us. Along with the craft, in Holland and the Flemish area of Belgium. North East Holland… At Betuwe, near Arnhem. Again there is much in common with the craft of eastern Britain. The gable design, on the left, is exactly the same as that found here. Modern thatch, in the Netherlands, makes much use of tiled ridges. But this image shows that thatchers here, also ridged, in a similar way, to both their German and British contemporaries. 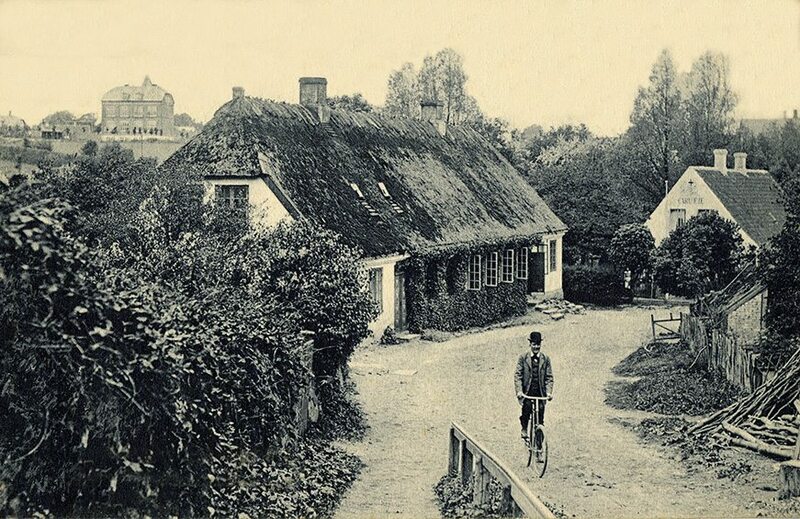 Into Denmark… A quiet corner of Sollerod, near Copenhagen. 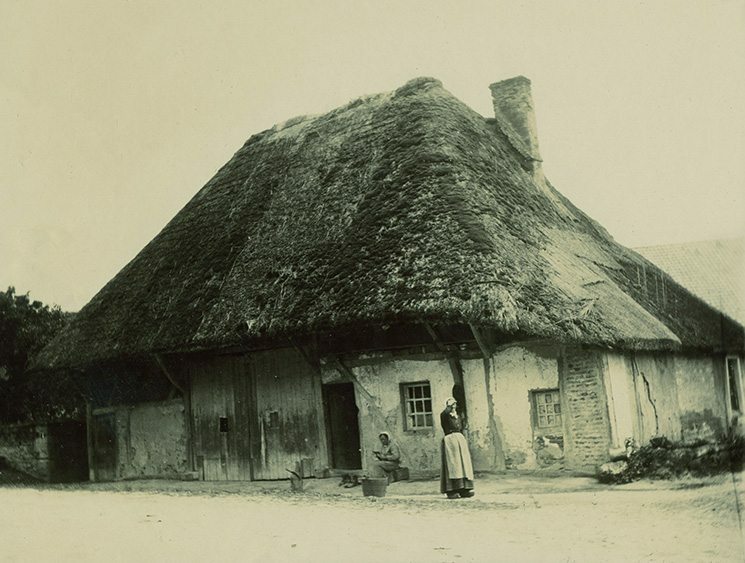 Thatch in Scandinavia is rarely topped, with anything but straw, held down by crossed wooden poles. Otherwise it is very similar to that found in the northern half of Britain. Especially, with those areas that use a wooden, boarded gable end. Which is common in Danish thatching. Norway… A rare image of the craft in this country. It follows a similar style to that found in Denmark. The building, on the right, with it’s roof down to the ground, is a type found in early Anglo Saxon sites, in Britain.